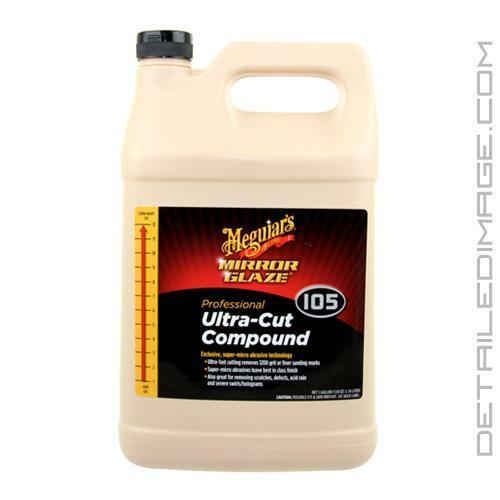 Meguiar's Ultimate Compound 105 is what many professional detailers turn to when they need results. This product was developed for Meguiar's Professional Mirror Glaze line for anyone who wants top notch results. You can remove deep imperfections and finish the paint down nicely, even when using some of the more aggressive pads. You'll be amazed at how quick and effective 105 works on any type of paint. Even though M105 finishes down nicely on certain finishes, we still recommend following up with a finer polish and pad combination for maximum results. This is a great polish to use with either a random orbital buffer or a rotary, typically using an orange light cutting pad, yellow cutting pad or a purple foamed wool pad. 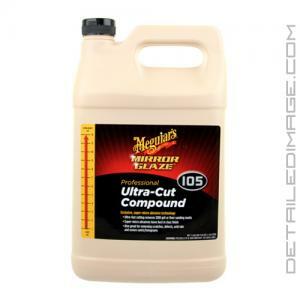 See why so many top professional detailers keep Meguiar's Ultra-Cut 105 in their detailing arsenal. Unlike traditional polishes that require a long working time to break down the abrasive particles, M105 utilizes ultra-hard non-diminishing abrasives that retain their size and shape throughout the polishing cycle. These abrasives are designed to cut hard and fast, and the fact that they maintain a consistent cut from start to finish means that the process goes much more quickly than traditional polishes or compounds. The end result is a heavier cut, with a finer finish, in less time! M105 is capable of removing 1200 grit and finer sanding marks, scratches, acid rain etching, and severe swirls and holograms. Another great feature of M105 is that it produces tremendous results whether you use a random orbital polisher, such as the Porter Cable 7424XP, a rotary polisher, like the Makita 9227C, or by hand. For those who own a random orbital polisher, and thought that you weren't able to achieve heavy correction without stepping up to a rotary...think again! You can achieve great (and safe) results with a PC7424XP, an orange pad, and a bottle of M105. Rapid defect removal & minimal swirl. DA application: Work one section at a time. Apply directly to appropriate Soft Buff 2.0 Foam Pad. Set machine to 4-5. Apply moderate pressure on initial 2-3 passes followed with light pressure for following two passes. Wipe off residue immediately after each panel. Rotary application: Set rotary buffer to approximately 1500-2000 RPM's. Use with Meguiar's Wool Pad. To prime new or dry pads, mist on M34 Final Inspection. Apply M105 Ultra-Cut Compound directly to the paint surface and begin working in a 2' x 2' area with overlapping passes. Continue working until defects or sanding marks are removed. 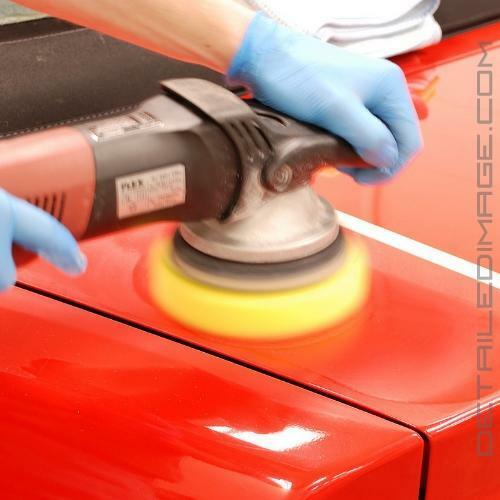 Wipe remaining residue with a Meguiar's Ultimate Wipe (M9910) prior to polishing. For final polishing, choose the appropriate Meguiar's foam pad and M205 Ultra Finishing Polish, or your favorite Meguiar's polish. PAINTABLE: Safe on all paint finishes including Scratch Resistant Clear Coat finishes. 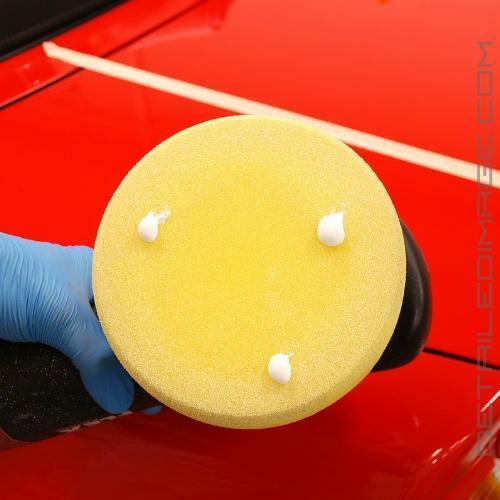 TIPS: For best results use with Meguiar's W4000 Cut 'N Shine Wool Pad. For pad maintenance and ultimate results, clean pad frequently. For optimum results on OEM paint use a lower speed setting (1200-1500) and less pressure. For less aggressive cutting use Meguiar's W7000 Foam Cutting Pad. M105 is excellent for rubbing out door jambs, and spot hand compounding. 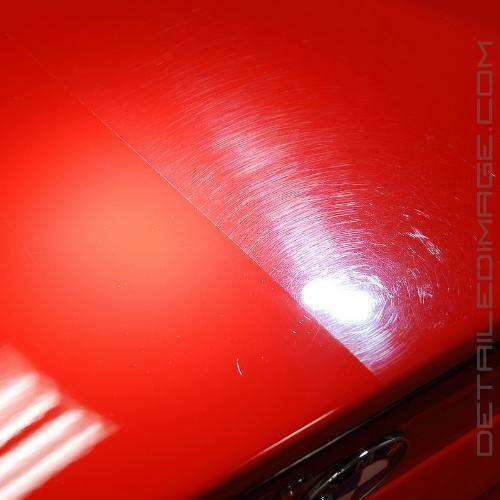 Simply apply to a soft cloth, we recommend our Meguiar's Ultimate Wipe (M9910), and rub desired area. Wipe residue with clean side of towel. Worked flawlessly in removing some horrific swirl marks on my BMW 135i. I used it with a orange Lake Country pad on a Porter Cable 7424xp polisher. Seemed to be most effective with the polisher speed almost all the way up and using a lot of pressure. Polish is almost idiot proof since it never caused any marring, hazing, or paint damage no mater how hard I polished it. I followed it up with the M205 polish on a white pad as recommended and it really brought out the shine. Awesome compound. Orange foam or microfiber will get the party started. Then switch to M205 on a black foam pad. Works amazing! I would buy this over and over. Easy to use. Cuts well. Gets dusty, but it's super easy to remove. I use this with my Meguairs MF cutting disk. Swirls don't stand a chance.